What’s that you hear? Oh that was a collective sigh of relief coming from Chicago Bears fans. Finally the Bears have acquired a top NFL wide receiver, and we caught ourselves a big fish. Three-time Pro Bowler Brandon Marshall is taking his talents from South Beach to Chicago’s South Loop. Giddy up! 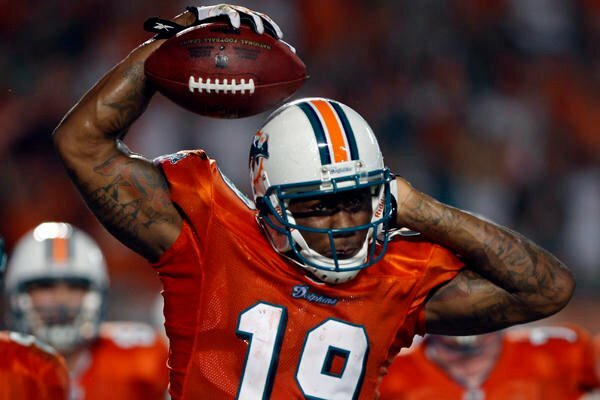 The Bears traded Marshall from the Miami Dolphins Tuesday for their third-round draft pick in 2012 and 2013. Last season, Marshall caught 81 passes for 1,214 yards and six touchdowns -free agency was on Chicago’s side. In his first big move as the Bears new general manager, Phil Emery reunited Jay Cutler with one of his go-to men from his Denver days. For the entire three years Cutler has spent in Chicago, he’s been seeking a big target with reliable hands and next season he will have his chance to show us what that arm can really do. Marshall will wear No. 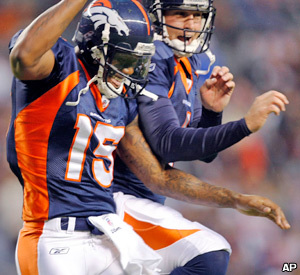 15 with the Bears, the same number he donned in Denver. The 6-4 Marshall instantly gives the Bears’ offense, running under first-year coordinator Mike Tice, a big-time playmaker. I can’t wait to see this offensive beast in a Bears uniform. Here are some highlights, Bear down!